What can the UEP Guys do for you today? Buckets, bucket liners, bucket covers, soft or hard, for single man buckets & two man buckets. Also, tool bags & aerial aprons. Pengo augers for dirt & rock, Auger attachments & tooling, Auger teeth - dirt, carbide, rock. Adapter hubs & extensions. Operations & Service/Parts/Maintenance manuals for Altec, Hi-Ranger, Teco, Lift All, Reach All, Holan, Stelco, and Telsta. Double braided synthetic ropes – Made to order - Diameters ¼" to 2" with eyes each end, Crosby hooks with latches, etc. Tiiger pole pullers weigh only 57 lbs, simple to operate & designed for functionality, strength, safety, and convenience. Utility Equipment Parts carries sliding stanchions, collapsible reels and many more utility trailer accessories – too many to list. Nylaflow tubing is high quality pressure tubing for hydraulic lines (1/4”) and air lines (1/8”) for bucket trucks and digger derricks. DICA Outrigger Pads are engineered to provide the perfect support base for utility trucks, aerial equipment, and cranes. Prompt, Responsive Service ... Guaranteed Every Day! Whatever your bucket truck needs, Utility Equipment Parts can help! We have been in business for over 8 years, and we will get you the parts you need quickly. We offer bucket truck parts and accessories as well as digger derrick parts from over 30 manufacturers so whatever your needs we can help. We stand by our service motto — Prompt, Responsive Service … Guaranteed Every Day. We offer bucket truck parts and accessories for Hi-Ranger, Terex Telelect, Holan, JLG Industries, National Crane, Teco, Reach All, Lift All, Versalift, Altec, Elliott Crane, and IMT Crane. In addition, we carry Pengo augers, Tiiger pole pullers & DICA outrigger pads. Utility Equipment Parts can also get you the little tools and accessories that make a big difference in utility work — bucket covers, aerial aprons, tool buckets, winch ropes, tow ropes, hooks, stanchions and more! 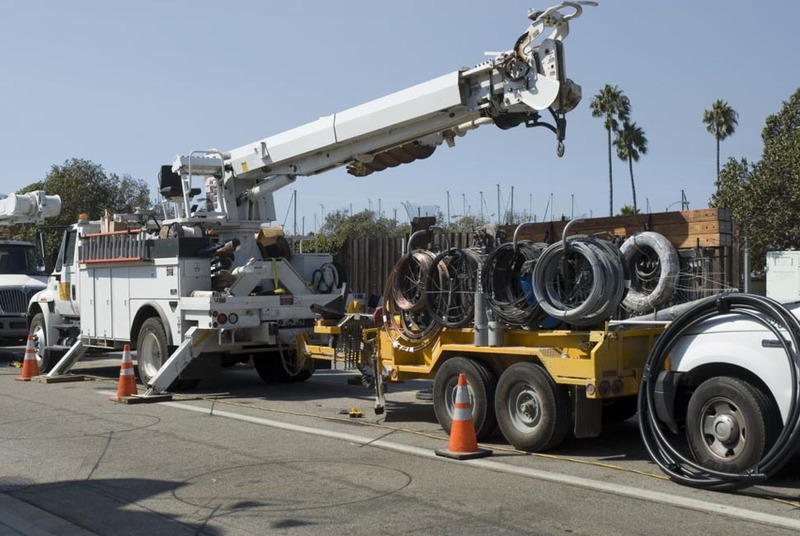 Utility workers appreciate the bucket truck parts and accessories supplied by Utility Equipment Parts, because they make utility work safer and easier. If you don’t see what you are looking for, please contact us and we probably have it.